The quintessential book on Jennifer's grandfather, has been released by Abrams Comic Arts. It covers Rube's 70 year career -- with a focus on his iconic invention cartoons that made him a household name. Adam Gopnik's introduction explains my grandfather's work in a way that is both simple and complicated and weaves together Mousetrap, Dada, US patents, XKCD, and the atomic bomb (#&@%?>!@*#@?) into a coherent and brilliant piece that IS a Rube Goldberg! I am so proud of this book, seven years in the making. For a sneak peak, click HERE. 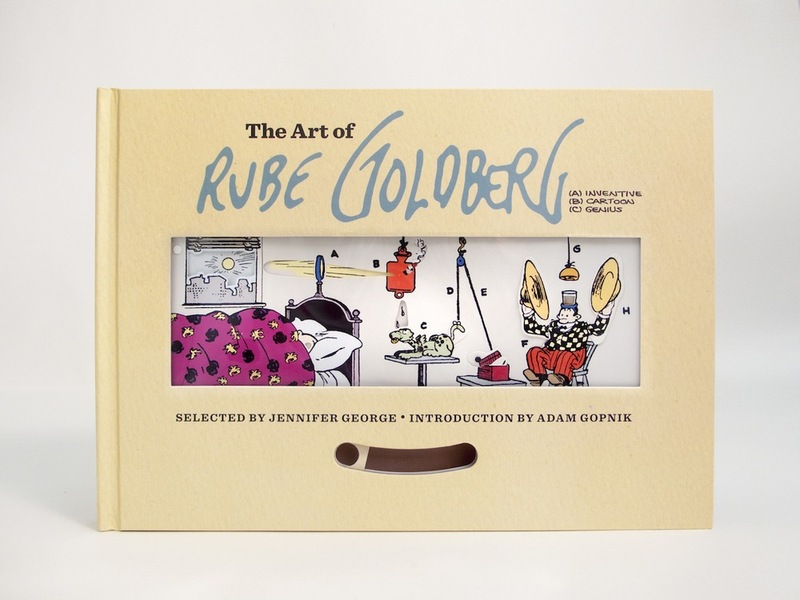 To buy the book and other fun Rube merchandise, visit our Rube Shop.